When you're so hungry that you're angry, you're hangry. Back in March, I became a guinea pig with the help of Dr. Mark Hyman and Dr. David Perlmutter (their books are featured on our “Resources” page). Both doctors strongly advocate eliminating “fun” from our modern, Western diet in order to eliminate chronic, pervasive problems like type 2 diabetes, asthma, joint pain, digestive problems, allergies, autoimmune diseases, and migraines. The list goes on, but that last problem – migraines – lured me into signing up for the nutritional lifestyle the doctors were promulgating. As someone who has been suffering from debilitating migraines since the age of six, I did not need much convincing to buy the concepts they were selling. I just had to agree to eliminate the following “fun” from my diet: sugar, caffeine, dairy, gluten, processed foods and liquor. In exchange, I would be liberated from a life of pain. Sold. My rationale for trying this elimination diet was simple. Worst case scenario: I follow the doctors’ advice, it doesn’t work, and I crawl back to my drug dealer, GlaxoSmithKline in order to humbly, apologetically ask for more Imitrex injections to manage my painful migraines. Best case scenario: This diet works, and I get to hold a funeral for my archenemy, Migrainus Majoris. But wait a minute. The best case scenario involves abandoning all forms of processed SUGAR (even zero-calorie sweeteners??)? And no more nectar of the gods, COFFEE? Arrivederci, pizza and ice cream. NO BREAD AND BOOZE? ARE YOU EFFING KIDDING ME WITH THIS DIET? When I signed up for this new lifestyle, an amazing thing happened. Correction: many amazing things happened. Most importantly, my migraines disappeared inside the first month. I also lost 20 pounds (the first 10 pounds melted away in the first 10 days of adopting this lifestyle). My sleep improved. So did my memory. And in a delightful, odd twist, I came to the realization that this nutritional approach does not – I repeat, DOES NOT – eliminate fun from one’s gustatory life. It actually changes the definition of what constitutes “fun food” by introducing a whole new world of exciting flavors, unusual ingredients and inspired recipes. It has been four months since I adopted a Hyman/Perlmutter lifestyle. Hear me now and believe me later: I have never had a more rewarding, creative and fun relationship with food. And this new relationship has only just begun. I am discovering countless new ways to control hanger with foods and spices that heretofore were foreign to me. Every week, I make an effort to learn a novel recipe, introducing me to different foods that nourish my body without compromising my health. I don’t feel restricted; ironically, on this elimination diet, I feel liberated. This week, I decided to learn more about a food that I have enjoyed prodigiously in Chinese dishes, expertly prepared at restaurants. However, I never dared to purchase and work with this super-healthy superfood: BOK CHOY. Part of the cabbage family, bok choy has been cultivated in China for more than 5,000 years. It’s chockfull of vitamins A and C and is a good source of several carotenoids, especially the antioxidant beta carotene. Financially and calorically, the stuff is practically free. When I purchased baby bok choy the other day, it was 60 cents a pound, and one cup weighs in at a whopping 13 calories. 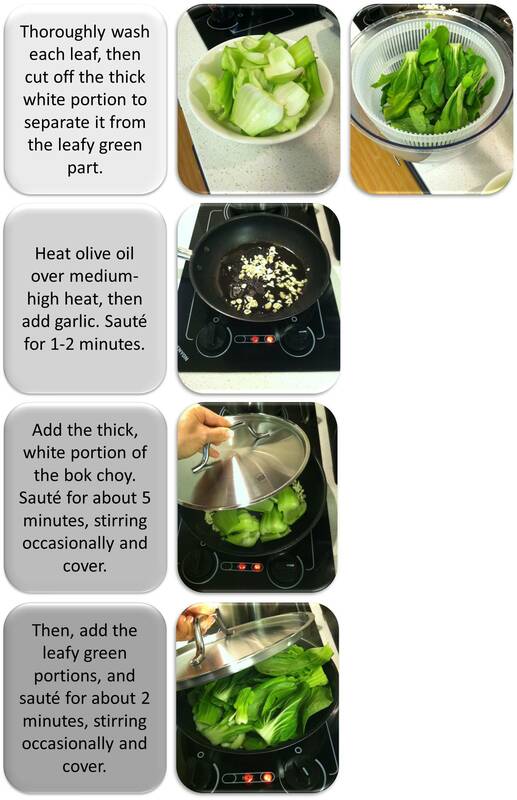 Since bok choy has a very mild flavor, it is ideal for stir-fried dishes, braising and soups. For my maiden voyage with this vegetable, I decided to prepare it as a simple yet flavorful side dish. 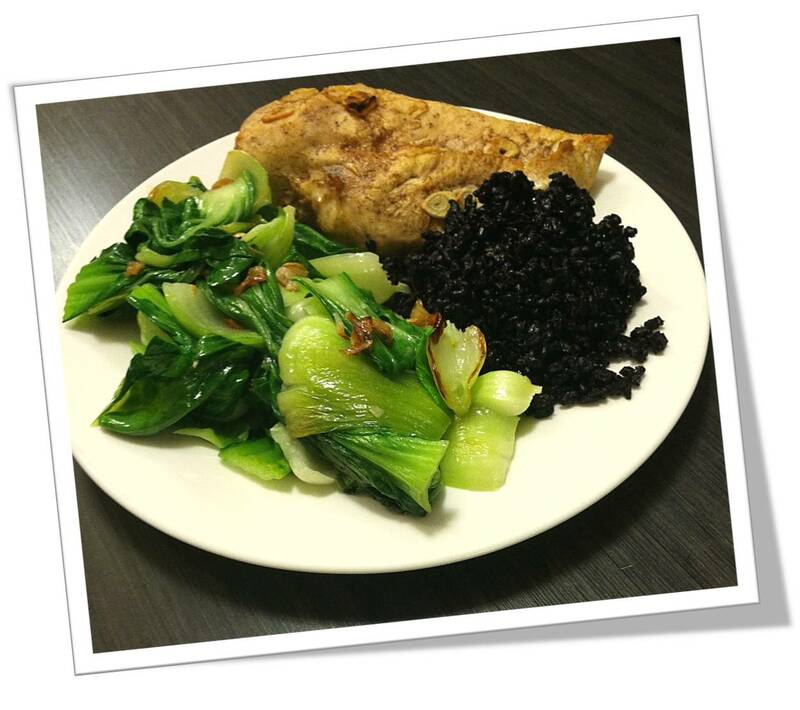 Fortunately, bok choy is an extremely easy vegetable to work with; very little effort is required to transform it into a bright and light addition to a healthy meal. My experience with bok choy served as a valuable reminder: If I’m not having fun controlling my hanger with healthy dishes, I’m not controlling it the right way! The best, most sustainable way for me to control hanger healthfully is to always keep my repertoire of recipes fresh and interesting. To that end, I encourage all followers of Hangry Chicks to share their favorite, unusual, healthy recipes with us! P.s. 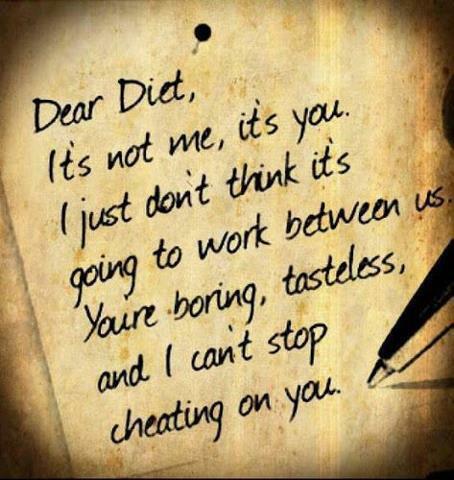 I love the Dear Diet letter! So very George Kastanza! What is a Hangry Chick? Your hanger rating: Find out your countdown to a hanger meltdown.